My heart hurt this week. There’s so much anger and pain and wrong in the world right now and it makes me ache. At time I’ve felt brittle and fragile and like I want to hide my head under the pillows and cry. At various times I’ve been tempted to rant about the fact that there are Christmas decorations up before Thanksgiving is over. I wanted to rave about the commercialism and let my cynical side tell me the holidays are just an excuse to sell more products. I wanted to be angry about this country’s deplorable treatment of Native Americans and the Catholic Church’s many failings. Instead, I made a conscious choice to make Thanksgiving and Christmas about what matters to me. Spending time with people I care about, appreciating the good things in my life, eating delicious homemade meals, enjoying the cozy feeling of being in a warm house when it’s cold outside. I can’t solve the world’s problems. I can’t take on all of the pain and make it go away. But I can try to make my corner of the world a nicer place. I can appreciate what I have. I have a home. I have cats. I have good health and a decent paying job with good benefits. But mostly, I have people: family people, friend people. People I never expected to build such a strong connection with. People I’m intensely grateful for. People who are so wonderful they take my breath away on a daily basis. So instead of letting the world drag me down I’m going to enjoy it. Today, I’ll go to my in-law’s house and celebrate Thanksgiving with them. Friday, I’ll sleep in and have a lazy day watching movies with Mr. Vaughn while we make mashed potatoes and applesauce. Saturday I’ll celebrate Thanksgiving with my parents and one aunt. Sunday we’ll cut a live Christmas tree and put it up. If that isn’t an amazing way to celebrate the start of the holiday season, I don’t know what is. I’m grateful for it. If you’ve read my books, you know I love including food (and wine!) in my stories. Yesterday when I ran across a Buzzfeed article about cookbooks and books, I was reminded of my all time favorite cookbook from a book series. 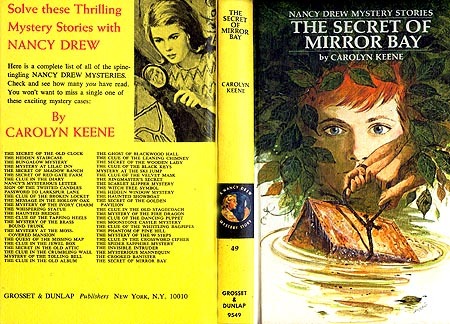 I LOVED Nancy Drew books when I was growing up and in fact I am slowly putting together a collection of the 1960’s-70’s library (and book club) editions. They were really popular and I have at least 3/4 of the series (bought for around $5/book at garage sales and antique stores over the years). I’ve been collecting them for about 15 years now. The one thing I don’t have is the Nancy Drew Cookbook. The recipes were TERRIBLE (for that matter, so were a lot of the stories), but I loved it for the cheesy nostalgic value. How can you beat recipes with names like Coded Steak Rolls, Mystery Corn Pudding, and The Case of the Smothered Pork Chops? I remember checking it out from the library dozens of times as a kid, but for the life of me, I can’t actually remember if I ever made anything from it. In all the years I’ve been looking, I’ve never found the cookbook. I could buy it off Amazon for around $20.00, but somehow that seems like cheating. It’s more fun to peruse garage sales, used book stores, and antique shops for it. 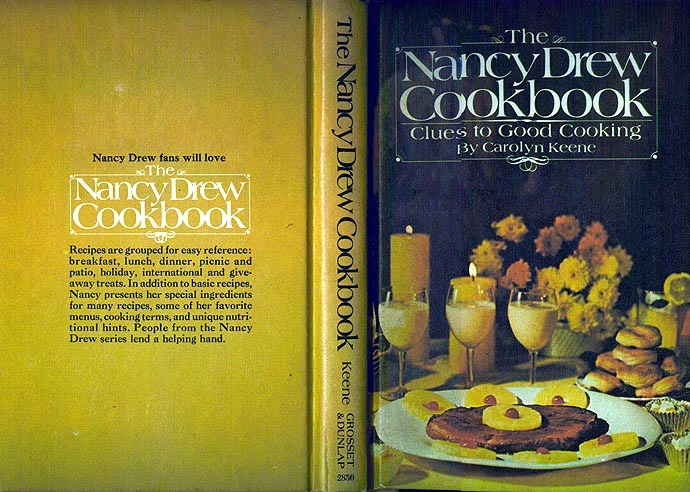 Who knows, maybe someday I’ll figure out the mystery of the missing Nancy Drew Cookbook. What about you? 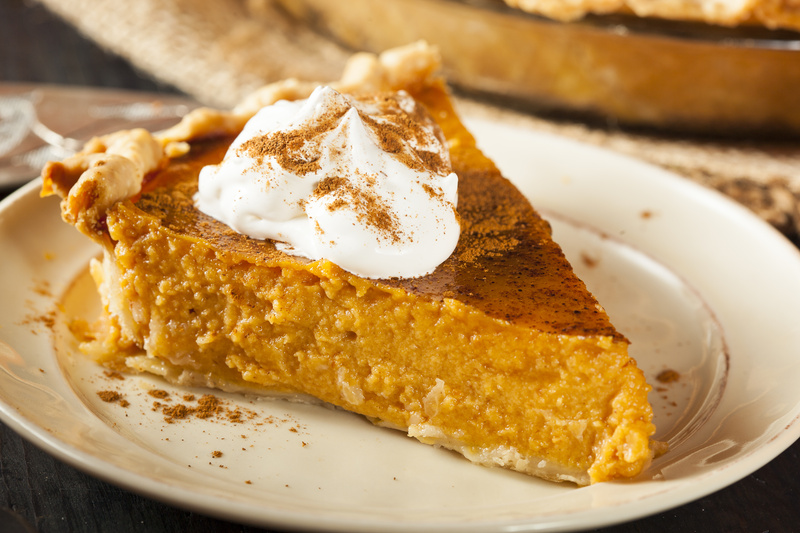 Do you have a favorite cookbook from your favorite book or series? It’s taking me a while to get back into the swing of things after being gone. GRL was wonderful and so was the time spent in downtown Chicago. I desperately needed those two weeks to unwind and recharge. But now that I’m back I feel … off. Like I’m not synced up with the world and am half a step out of beat. After two weeks of not writing and barely checking in on social media, it’s hard to get back into the routine I had. I don’t know if that means I need to find a new routine or just be patient while I adjust to real life again. I am back to writing; in fact I had a great breakthrough on my novel and am finally making progress after I stalled for way too long. Being at work is tough though and I can’t seem to get back into it. I’m sure the time change for daylight savings time isn’t helping, but that’s not it either. I just wish the foggy, surreal feeling would go away. I don’t like feeling like I’m not present in my own life. p.s. 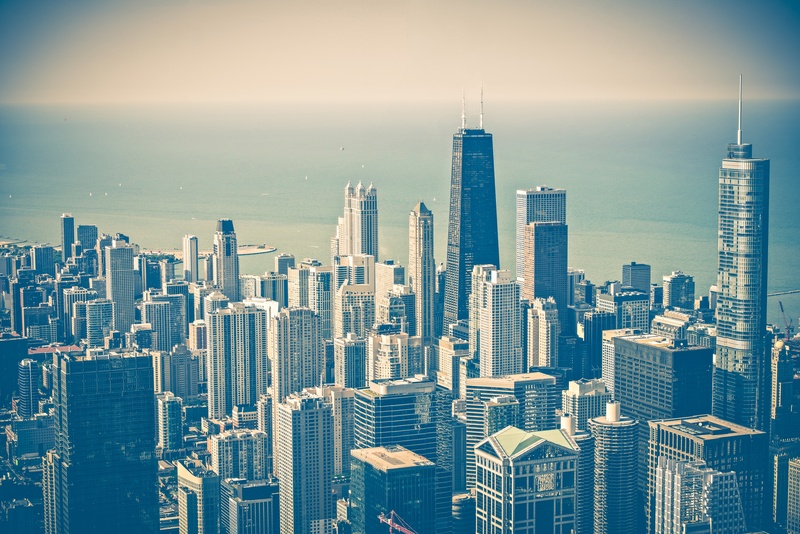 The photo above is not one I took of Chicago although I have tons of photos from there that I still need to edit. Hopefully I can tackle them in the near future. Although I’m the last person who wants to hurry the fall along–it’s my absolute favorite time of year and I like to savor it–it’s time to start thinking about the holidays. I’m going to enjoy my Thanksgiving before I think about Christmas thankyouverymuch but when it comes to my writing, I like to think ahead. 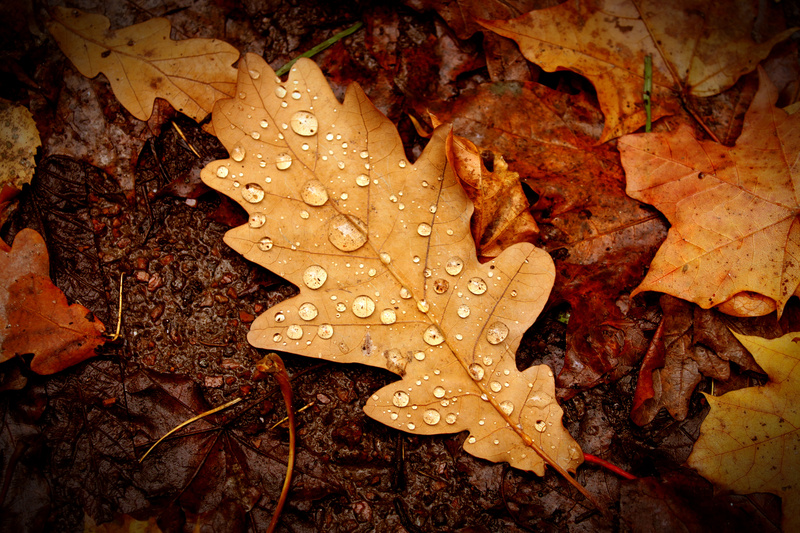 Yesterday I signed up for a flash fiction holiday blog hop. I’ll use the pic below to write a 500-3,000 word story (under 1,000 preferred) to write a holiday story that includes a winter holiday theme and a “bad boy” character. In addition, I’ll be offering a prize (more on that to come)! All of the stories included in the blog hop will be posted sometime between Dec. 1 and 7, so keep an eye out for more information! Eee! I am so excited to write this story. Are you excited to read it?